We all know the benefit of a good budget. More money in the bank for the important stuff, like paying off debts, saving for special occasions and weathering the financial storm that is Christmas. But budgeting can be very tricky. Setting a budget is one thing. Sticking to it is another matter. There are some people, though, that make a living by being professional budgeters — amongst other things. Chartered accountants worship at the altar of good financial practice, and to let their budget slip away from them means more than just jacket potatoes for dinner. By following the practices of these financial pros, anyone can learn to command more control over their spending. So how do you create ‘the books’? — referred to in this way because when the practice was first established, everything was written down in a giant book or ledger. First, find your platform of recording. A simple spreadsheet will often do, or an actual book if you fancy going old-school. Now, you record your transactions. All your transactions. Record data in order of purchase by date, compiling more and more as you go. You should also note whether the transaction is income or outgoing, then categorise it based on what kind of expenditure it was. Was it rent, food, entertainment, or something else? Having this sort of financial data allows you monitor and track what is happening with your money; essential knowledge for gaining control. Think of it as an organised — and more detailed — bank statement. It’s easy to let financial management get away from you. You start off with good intentions. sit down at the beginning of the year and make a plan, but by February, you find you haven’t checked in on your spending in weeks. Money has a way of seemingly spending itself. If you don’t watch it, it’ll disappear. To successfully follow a budget and keep yourself on track for success, you must do what all good accountants do, which is allocate specific periods of time to money management. It can be as often as once a day or as little as once a month; however you feel reflects your budgetary goals and your volume of spending. Whatever your schedule demands, stick to it. You’ll find that by closely watching where your money is going and making sure all records are accurate, it becomes a lot easier to identify bad habits or expenditures that are harming your financial goals. You also become more aware of your spending and more tuned into the impact of those naughty little expenses you normally write off as insignificant. It’s 2018; accountants don’t simply record and manage money in hefty ledgers anymore. They use specialist software. Of course, accounting software is both complicated and expensive, but you aren’t managing the money of the business — just the money of you. You don’t need big, fancy computer programs; you just need software that can help support your budgeting and help control your spending. Mint — This is the ultimate money management software. Connect all your cards to one place and access all your financial data from the Mint app. You can view all outgoing payments and upcoming bills. Mint will also give you feedback based on your spending habits, helping you to curb spending you didn’t realise was hurting your budget. Loot — Aimed at younger generations, this app is designed to set daily limits and designated funds. You assign money to different expenses and time periods to fit your budget, allowing you to easily assess your progress and stop yourself overspending. Wally — An app designed to automate financial organisation, Wally allows you to take a picture of your receipts, which it will then analyse and compile it into database for you to refer to later. We love this app for two reasons: it makes seeing where your money is going easy, and it means you never forget to record a purchase. Accountants are always looking to the future. They are always seeking out ways to improve how they operate and how they can better manage the money under their control. To do this, they rely on reports. Reports can be collected at any point, be it weekly, monthly, quarterly, annually, or every third Tuesday. Their goal is to simply provide accountants with financial data from a set period of time, from which they can make decisions about upcoming budgets and spending plans. Taking the data you’ve stored through bookkeeping, you can create a visualisation of your spending for a specific time period. Through these reports, you can look for areas of overspending, or successes that can be mimicked elsewhere in your budgets. For example, an accountant may look at a quarterly report and discover there is overspending on supplies and that, by changing supplier, they can reduce expenses. To parallel this, you may look at a report and discover you’re spending more than you realised on takeaway coffee, so by investing in a travel mug, you could slash outgoings. Some great tips here. I am generally OK with my money management, my confusion comes with things like tax for the UK now I am living in Sweden etc! Having recently started my own business I can completely see the need for book keeping. Using software is a great way to keep on top of it too. Otherwise you tend to leave it until the last moment and its all one big mess by then! 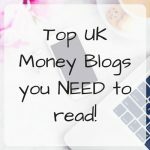 I am loving your finance tips here. Trying to stay on top of my finances this year. Some great tips here. I need something that keeps a track of my receipts for me I think! Now, this is something that I am good at! I make up a spreadsheet of all my expenses for the year – every bill – and all my incomings, then I can readjust my spending accordingly. This is a neccessity. In my 20s, I was awful with money. I’m afraid I learned the hard way! Great tips, I love the sound of Mint to keep track of everything. Some great advice. Will definately be using some of these as I am a complete novice!